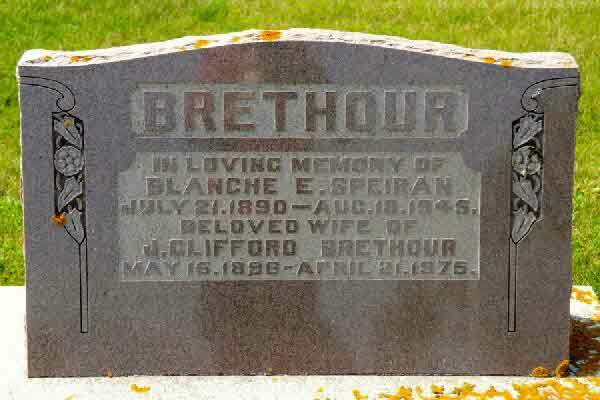 Burial* She was buried in Hamiota Municipal Cemetery, Hamiota, Manitoba, Canada; Reference Canadian Headstones.com. 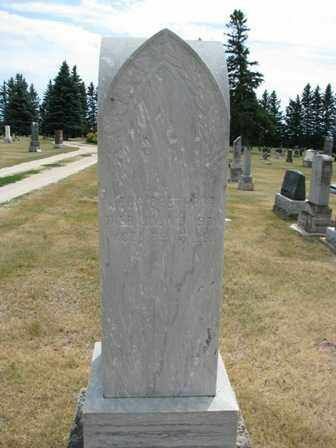 Death* He died on 23 March 1905 in Blanshard Twp., Perth County, Ontario, Canada. 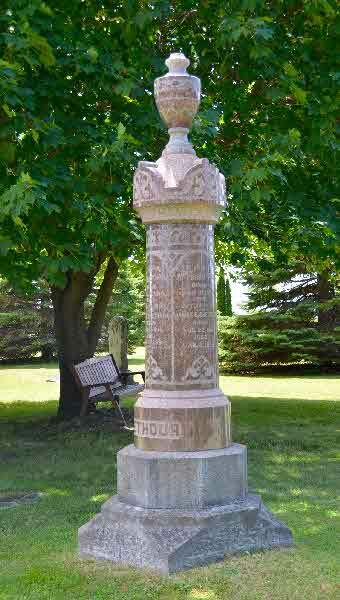 Burial* He was buried in Kirkton Union Cemetery, Perth County, Ontario, Canada. 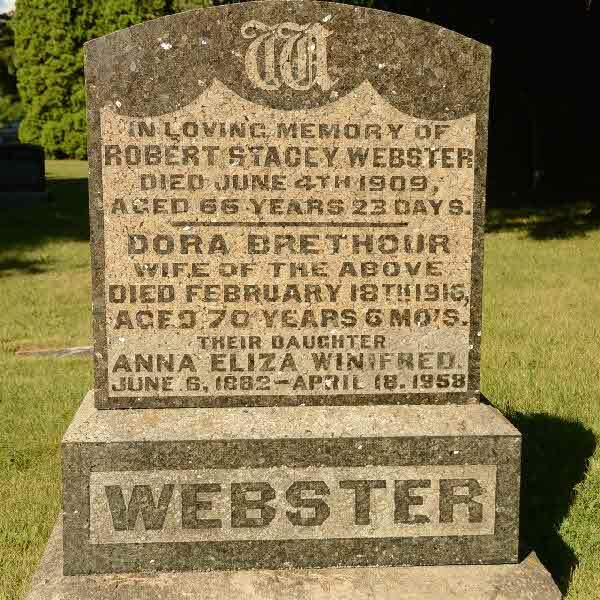 Marriage* Dora Brethour married Robert Steacy Webster on 31 December 1869 in Scott Twp., Ontario County, Ontario, Canada. 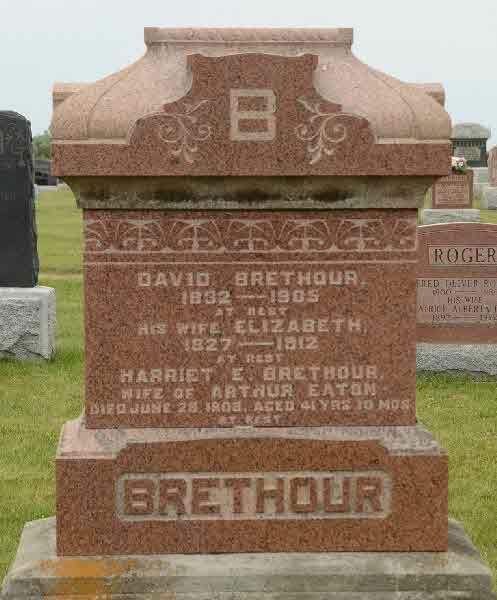 Marriage* Harriet Jane Brethour married Arthur Wesley Eaton, son of Richard Eaton and Fanny A. 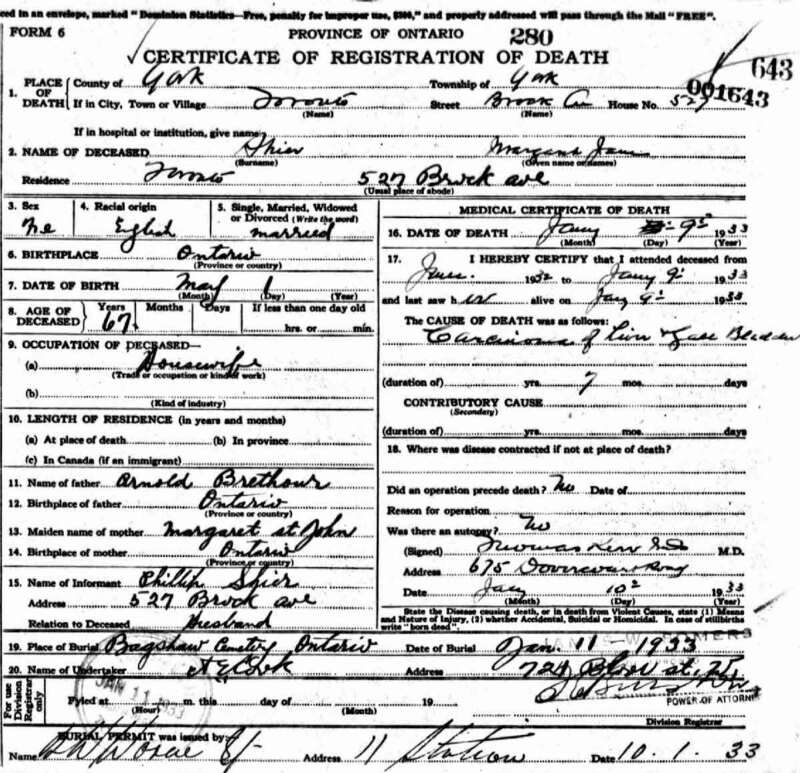 Foster, on 4 September 1907 in Usborne Twp., Huron County, Ontario, Canada. 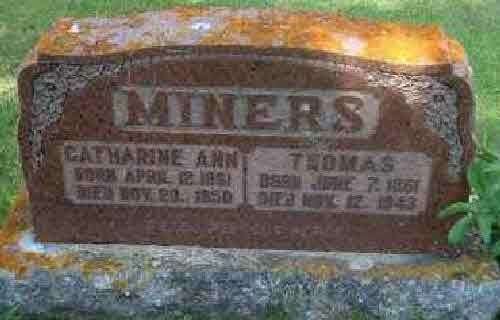 Milit-Beg* He began military service on 3 January 1916 in North Battleford, Saskatchewan, Canada. On our left the 1st C.I. Brigade attacked with a view to occupying more favourable positions about150 yards in front, arriving there and encountering practically no opposition, they continued their advance, finally halting and consolidating about 2,000 yards ahead of the position held by them in the morning. A significant incident occurred on our front this morning. During a lull in the artillery fire, a German was seen to leave his lines, and advance towards ours, with uplifted arms. Shortly after another followed, and evidently confident that we did not intend to fire upon them, 8 more joined them, and a party of 10 voluntarily surrendered. Events such as these certainly denote a deterioration of the enemy morale. It was stated that two Companies of a German Regiment absolutely refused the fact the Canadians. This morning the 8th C.I. Bn. carried out a small local operation and occupied two lines of trenches having no opposition and finding no occupants, but 40 of the enemy gave themselves up shortly after operations were completed. This afternoon a team of mules with limber of ammunition, with two men from our transport, while proceeding along the CAMBRAI Road to the Battalion, was hit by a shell. Both mules were killed outright and the limber blown to pieces, one man being slightly injured, and the other severely shaken. A remarkable escape. The Battalion passed a fairly quiet day. At night-time, when conditions are favourable the enemy is over bombing the rear areas, but apparently without much affect. Long range guns dropped shells into ARRAS at regular periods. By 4:35 a.m., Lieut. Dobin, Scout Officer, had the men in position in the jumping off trench. The disposition of the companies was as follows: - “A” Company to attack, “D” Company in support, “B” and “C” Companies reserves. The nature of the ground to be advanced over was mostly of an open nature, rolling away in long ridges, dotted with an occasional wood. At 4:50 a.m., the thunder of our barrage broke the silence of the morning, and, keen as ever, over went our men fearlessly launched upon their new venture. They were at once met by a devastating fire from enemy gun posts ad redoubts, of the latter there were three, one of each flank and one on the central front, the central one containing a minnen-werfer trench mortar. Casualties occurred rapidly, and “A” Company was soon sadly depleted, in spite of which they continued to advance hampered by the loss of Machine Gun Ammunition, which was lost owing to the men carrying it being killed or wounded. The enemy had also suffered heavily during this time, but perceiving only comparatively a few men advancing, a number of them, probably one hundred, executed an encircling movement and got in the rear of “A” Company. Prospects for “A” Company at this time looked pretty bad, when “D” Company coming forward, with a rush, the Huns found the tables turned with a vengeance, and the whole lot surrendered without any opposition. “D” Company by this time had also suffered heavy losses, so “B” Company was brought up to assist. The re-doubts which lay on the West edge of the Hendicourt-les Cagnicourt Road were over-run and captured, and the road crossed and the trenches which formed the objective entered about 5:45 a.m. so that a lot of fierce fighting and heavy work had been accomplished in a short time. Prior to the attack warning had been received from Brigade H.Q. of new traps devised by the enemy for the edification of attacking forces, some being quite new departures, and of a very ingenious nature. One consisted of a concealed knife rest blocking a road and connected to a bomb. On the knife rest being pulled aside, the wire fuses the bomb. Another was a system of six mines so placed on the road on either side that they would come simultaneously under the two wheels of a vehicle. They consisted of small wooden boxes containing about fourteen pounds of explosives, a sort time fuse, and detonator actuated by a pressure plate. Their position was recognized by the presence of newly turned earth. They can easily be removed and are innocuous as long as no pressure is applied on top. By the time the objective was reached, “A” Company was reduced to twenty men and was re-enforced by men from “D” Company. 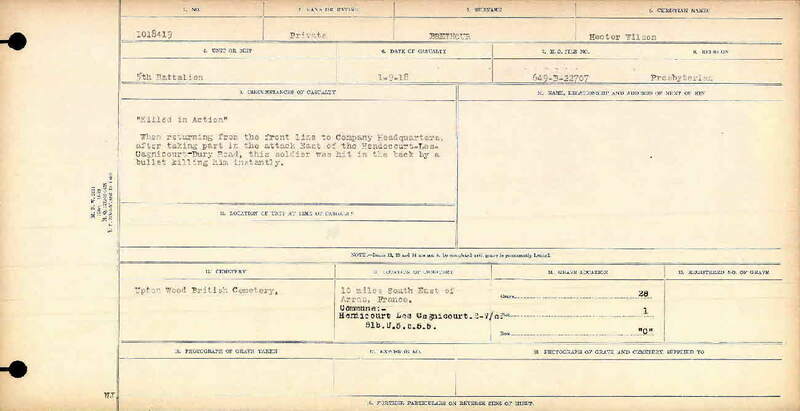 “A” Company had come into touch with the 14th Battalion on their right at 10 a.m. and “D” Company had new received re-enforcements from “B” Company. The enemy artillery was active now, and our men were being subjected to a heavy fire. At mid-day O.C. of “C” Company received word from O.C. “B” Company that enemy was counter-attacking, and asking for re-enforcements whereupon a platoon was immediately despatched to their assistance. The counter attack developed in strength and “D” Company, on the Left, was forced back. Perceiving their plight, the platoon which was advancing to reinforce “B” Company, immediately moved to the assistance of “D” Company. At this time there was an urgent call for ammunition from all companies engaged in fighting, and parties were dispatched from “B” Company to obtain a fresh supply. Our right flank, however, continued to advance. On the left “D” Company, reinforced, checked the attack and, in turn, attacked, forcing the enemy to retire. Our Field guns got busy, and events took a favourable turn for us again. By 2:00 PM our men were well established, and things had quietened down considerably. 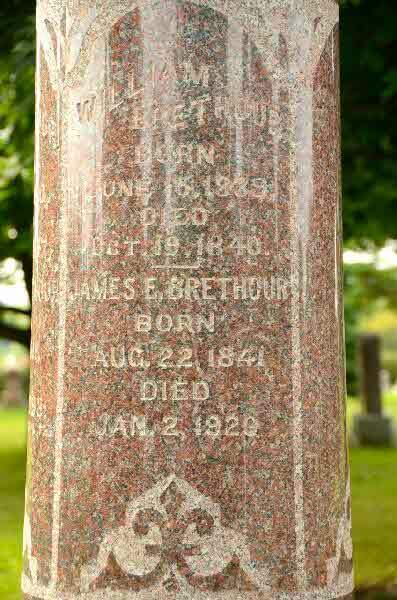 By bad fortune, “BN” Company had lost their commanding officer, Captain J. L. Evans, who at the kick off was killed by a machine gun bullet. At 4:30 p.m., under instructions from Captain McGlashan, DMC., acting 2nd in command, Lieutenant Lloyd, O.C. “C” Company took over the front occupied by “D” Company. Operation Order No. 314 (Appendix No. ) was received, stating that on the 2nd. 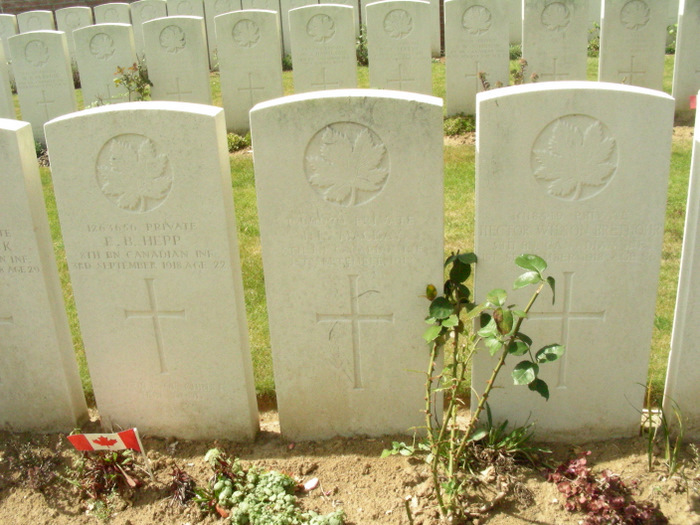 September, 1918, the Canadian Corps would break through the DROCOURT – QUEANT Line. The attack was to be carried out by the 2ndCanadian Infantry Brigade, with the 3nd Canadian Infantry Brigade on our Right AND the 12th Canadian Infantry Brigade on our Left. They were to be assisted by none tanks from No. 2 Company, No. 14 Tank Battalion. The 5th Canadian Battalion in Brigade Reserve. At 9:45 p.m. Reinforcements of 8 Officers and 80 Other Ranks arrived at the Battn. from the composite Company. Brigade Headquarters were established in a redoubt – V.1.a. 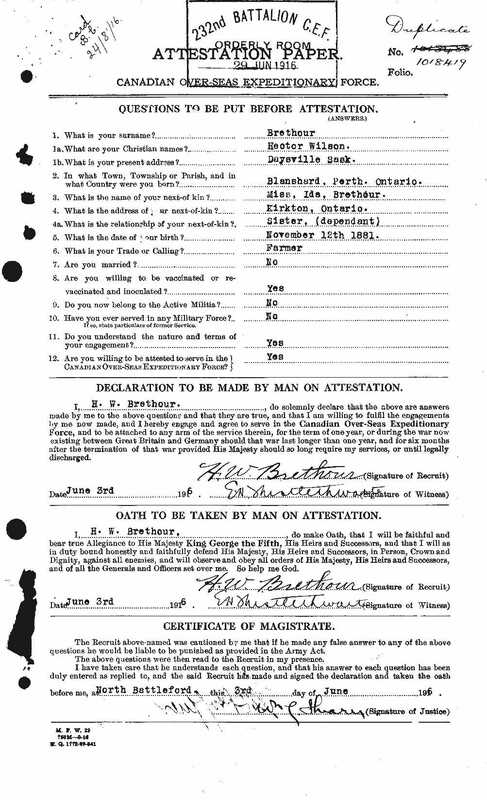 Sheet 51b. Estimated Casualties - 10 Officers and 225 Other Ranks. Death* He died on 1 September 1918 in France at age 36; Killed in Action during WW I.
Burial* He was buried in Grave c-28 , UPTON WOOD CEMETERY Pas de Calais, France. 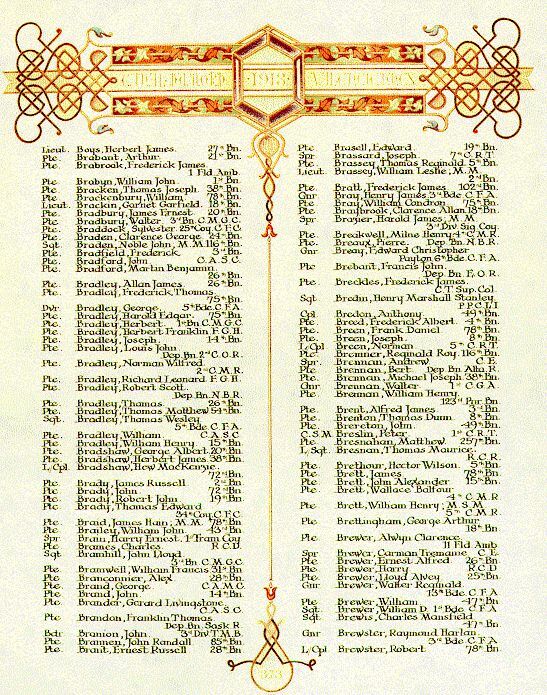 Fact 1* Hector Wilson Brethour is remembered on Page 373 of the First World War Book of Remembrance in the Peace Tower, Ottawa, Canada. 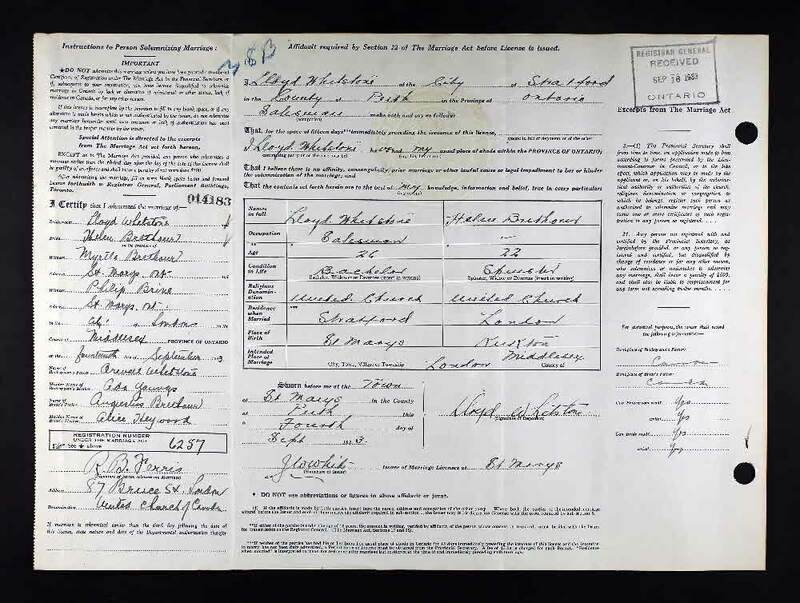 Marriage* Helen Eddy Brethour married Lloyd Orwell (Nip) Whetstone, son of Orwell Victor Whetstone and Ada Youngs, on 14 September 1933. 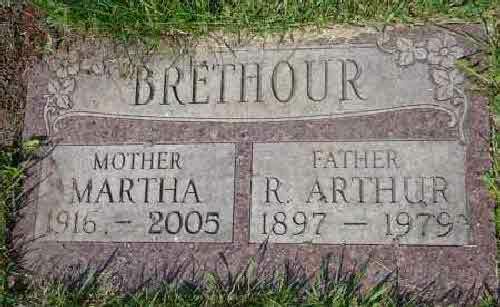 [S17] Unknown author, findagrave.com (n.p. : n.pub. 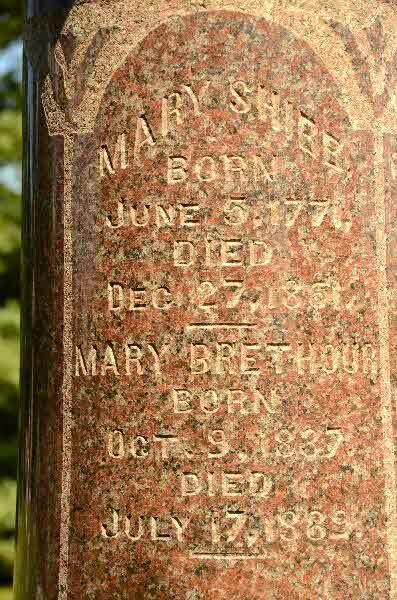 ), Findagrave Memorial 128069618. 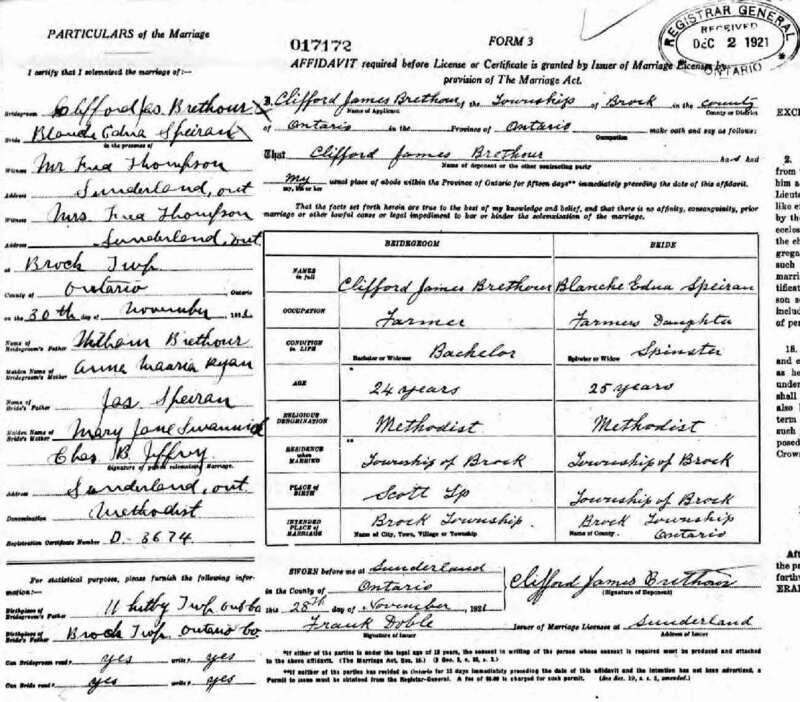 Marriage* He married Blanche Edna Speiran, daughter of James Speiran and Mary Jane Swanick, on 30 November 1921 in Brock Twp., Ontario County, Ontario, Canada. 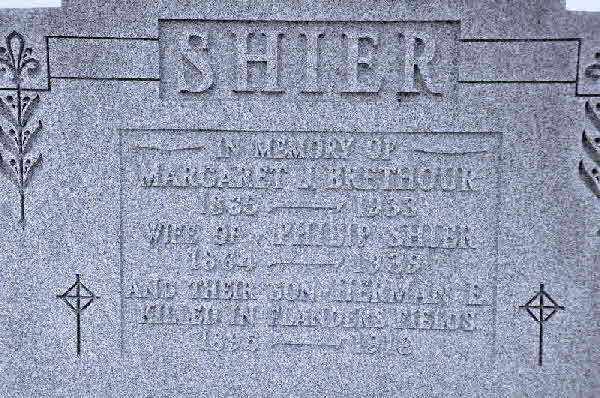 Burial* He was buried in Brock Twp., Sunderland Cemetery, Sunderland, Ontario County, Ontario, Canada. 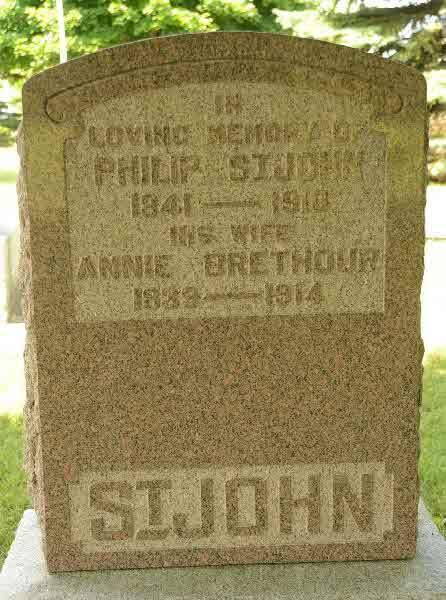 Marriage* Margaret Jane Brethour married Philip Shier, son of Jacob Shier and Catherine Rynard, on 10 January 1888 in Brock Twp., Ontario County, Ontario, Canada. 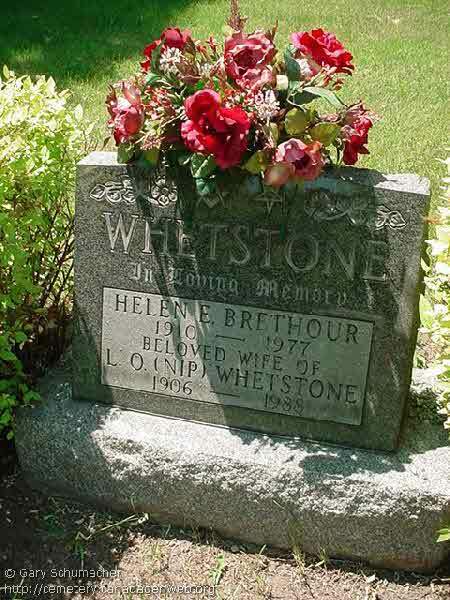 Death* Margaret Jane Brethour died on 9 January 1933 in Toronto, York County, Ontario, Canada, at age 67. 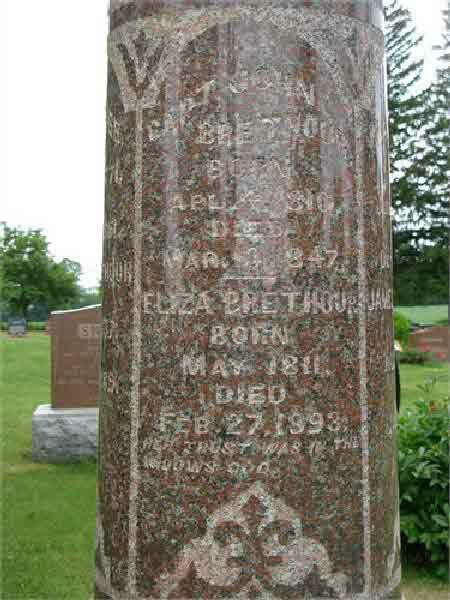 Burial* She was buried on 11 January 1933 in Bagshaw Cemetery, Brock Twp., Ontario County, Ontario, Canada.